Emergency preparedness is super important. We always have a possibility of being in an emergency situation, whether it is forest fires, severe weather, power outages or more. 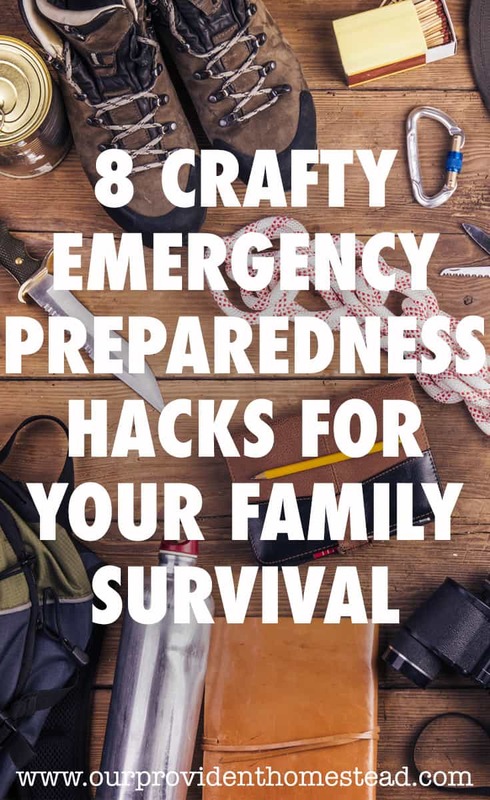 Today, I want to share with you 8 emergency preparedness hacks that might help you get ready for one of these emergencies. I love this idea because you know you can go to one place in your house and find everything you need to get through a power outage. This is a great idea to have in the back of your mind if you find yourself without water to run a conventional toilet or even if you are camping. This is a great idea for candle storage and gives you somewhere to put your candle when you need to use it. Crisco isn’t good for the body, but it just might work out great when you need light in an emergency. 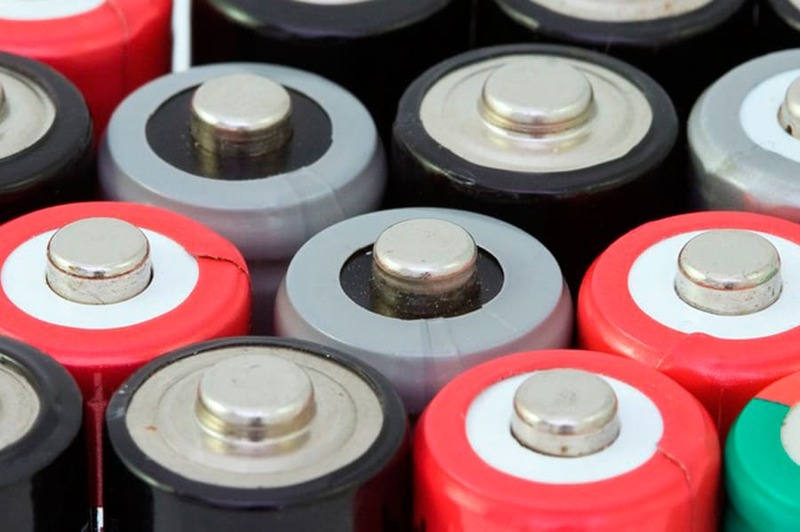 Batteries run out quickly, and even though you might be prepared for the short term, this is a great hack to know just in case. I love these ideas. Who knew a sock could be so versatile? When the lights go out, having a flashlight right by the fuse box would be super handy to find the right fuse to get the power back on. Worried about how to start a fire in an emergency? I love these lint balls in a small container that will help you get a fire going anywhere. These are just a few ideas that can help you be prepared around your house for whatever might come your way. If you try to do little things each month, over time you will be much more prepared for many different types of emergencies. You don’t have to do everything, all of the time. Which of these emergency preparedness hacks will you implement in your home? Let us know in the comments below. And if you found this post helpful, please share. Thanks! Evacuating from your home can be a scary time. I have not lived through it personally, but I live in an area that is prone to wildfires, which can cause evacuations at a moments notice. As I write this, there is a large fire about an hour away that has consumed about 23,000 acres of forest and authorities have called for the evacuation of over 2,000 people. It is in a mountainous, rural area but is only 10% contained. No one wants to go through an emergency evacuation. They don’t want to leave their home not knowing if it will be standing when they return. 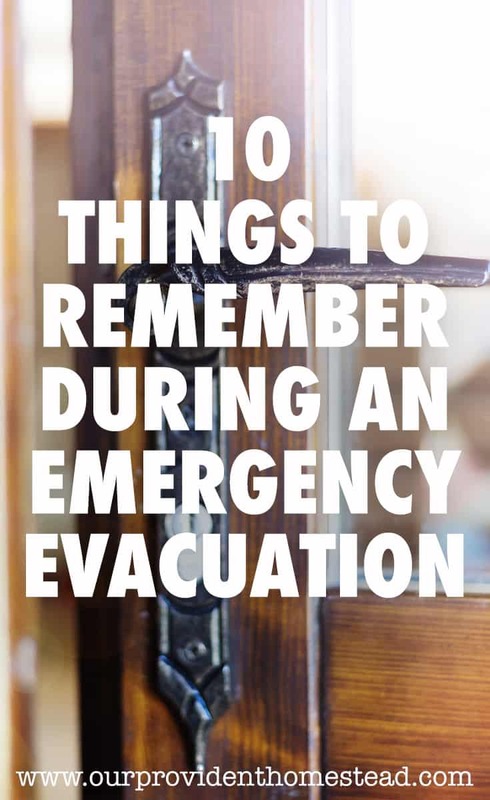 Here are some things to remember when evacuating that may help you if you ever have to do this in the future. You are told to go, go. No matter if it is a wildfire or a hurricane, if you are told to evacuate, you should do it. You and your family are more important than your home or property. I can say that because I lost my home to a house fire 4 years ago. It is hard. But if you stay, you are putting your life, your family’s life and rescuers lives in danger. It’s not worth it. Trust me. Listen to the radio and local authorities. Keep your family in the loop of what is going on around you with local radio and tv. Find out where the threat is, when it will get to you and where you should go when evacuated by listening to local radio and authorities. Protect what is most important. Your family, your pets and your irreplaceable belongings are what you want to worry about most, in that order. If you have time to grab your wedding dress or grandmas wedding ring, do it. But make sure your family and pets are taken care of first. Important documents. 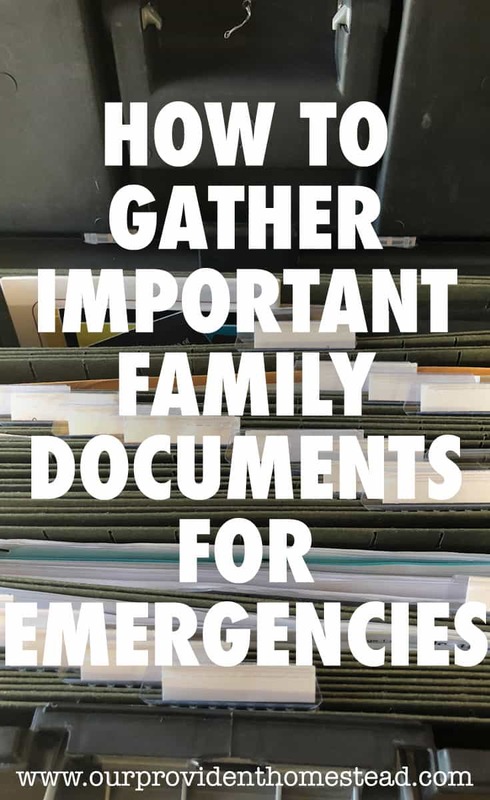 I have another post about collecting your important documents for emergencies, so check that out for a list of things to take. Having these items together ahead of time will make it so much easier when you only have minutes to make decisions. Secure your animals. This may take some advanced planning if you have many large animals such as cattle and other livestock. Often in an evacuation situation, there are good samaritans that will open up their land for others to bring their animals to in an emergency. 72 Hour Kits. You should have a 72 hour kit for each family member (and pet) that includes food, water, clothing, and other essentials for 3 days. 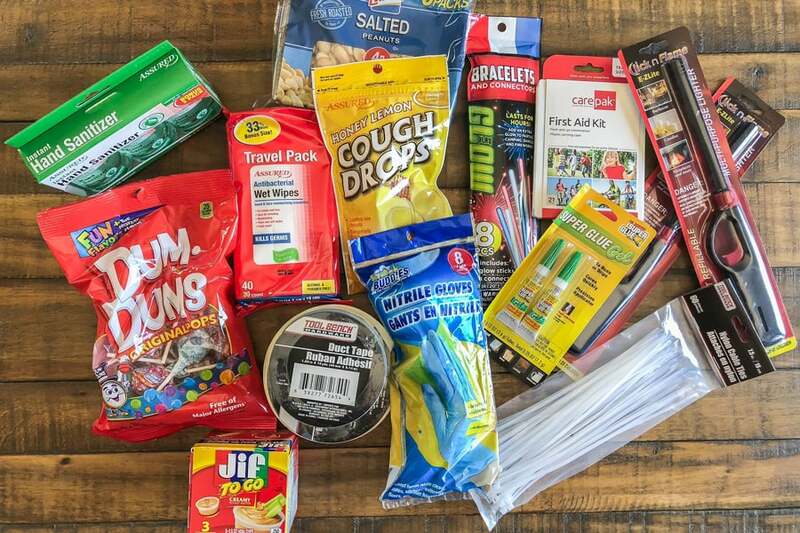 To find out more about how to make a 72 hour kit, you can read this post—> How to Make 72 Hour Kits to Get Your Family Prepared for Emergencies. Turn off utilities. You don’t want more damage done in your home than was made by the natural disaster. By turning off the utilities, you can help avoid burst pipes (flooding), gas explosions and other things that might occur. You can find out ahead of time how to turn these things off so you will know what to do in an emergency. Follow your plan. Take the time now to go over a plan with your family. Where will you meet in an emergency situation? What will you take with you? What will you do with your animals? Where will you go when you leave? These are just a few questions you will want to ask so that you will be prepared if you are asked to evacuate in a short amount of time. Secure Your Home. 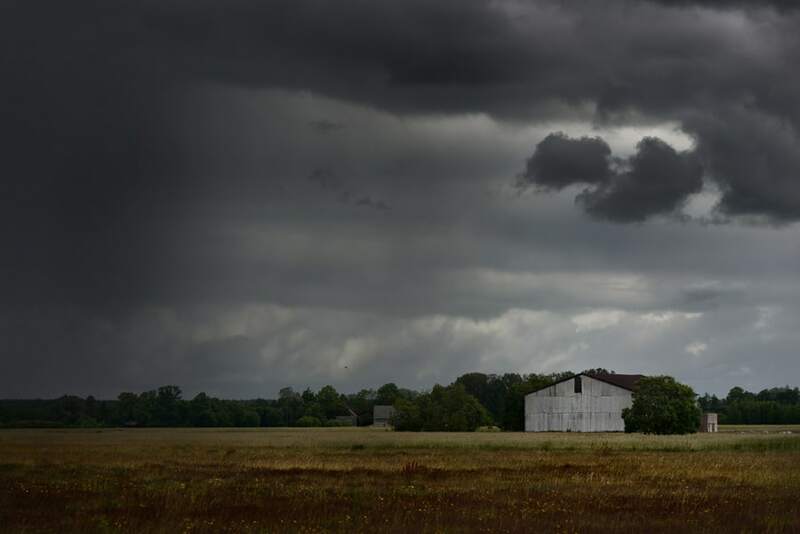 Make sure when you leave that you close windows and doors, and lock up your home and outbuildings. Unfortunately, there are people that will take advantage of evacuation situations to steal from you and your family. Don’t give them a free pass. Communicate with Friends and Family. If you are near the disaster, your friends and family will be worried about you. Let them know you are alright and what your plans are (especially if it means visiting them) via text, phone call, email or social media. Planning and calm decision making can make a big difference in a stressful emergency evacuation. The more you can plan ahead of time, the easier it will be to grab and go at a moments notice. After all, things can be replaced but people and pets can’t be. That is what we need to keep in mind when we go through emergency situations. Remember what is most important and how you can protect those things first. 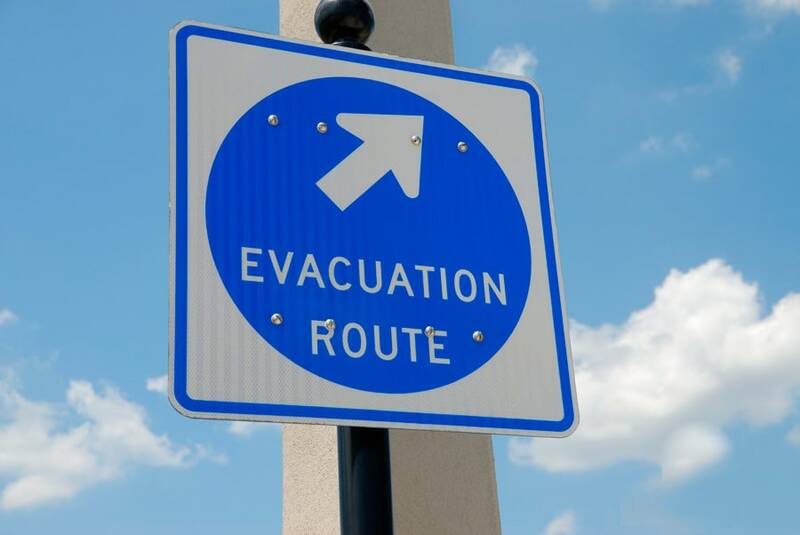 Do you have an emergency evacuation plan for your family? Let us know in the comments below. And if you found this post helpful, please share. Thanks! Do you ever worry that your family might have an emergency you won’t be prepared for? Do you hear all the things that happen in the news and wonder if they will happen to you? Today, I want to talk about your family preparedness and how planning ahead can help you calm your worried mind in the future. Disclaimer: We aren’t talking about zombie apocalypse here. This is not a post about extreme prepping. These are simple, actionable tips you can take for a basic emergency scenario. Last year, my husband was deployed (he works for the US Public Health Service) to help with the aftermath of hurricanes Maria and Irma. He is a pharmacist by trade, but in the disaster relief he took care of more of the logistics side of things. People had been flown in from Puerto Rico to the main land (he was in Atlanta, Georgia) that were in need of long term medical care. They were dispersed throughout the United States to hospitals to be taken care of. Around the same time, I had family members that were helping with hurricane Harvey relief in Texas where homes had been flooded and destroyed there. They had to gut peoples homes of wet belongings and dry wall so that mold wouldn’t creep in and make them sick. It was a huge project and took months to accomplish. Click here to get the FREE Emergency Preparedness Checklist! I wrote this post back then to remind me of the things I had learned from hearing about these disasters—> 10 Lessons Learned from Recent Natural Disasters. When these things happen, it makes emergency preparedness seem more valuable and urgent. But now it is spring and for the most part things are calm. There are always emergencies going on around the world, but in my neck of the world things are quiet. Does that mean I need to forget about those feelings I had back in September? Does it make emergency preparedness any less important? I don’t think so. In fact, it could very well be “the calm before the storm”. Many Christians have heard the phrase “Noah didn’t wait until it started raining to build the ark”. The quiet time is the perfect time to evaluate your needs and start taking action. It will make the storm more bearable if you are prepared. Why should we get prepared? Natural disaster- Depending where you live, you have natural disasters that you know to expect every few years. This could be tornados, hurricanes, forest fire, etc that you should look out for. You need to evaluate the likely natural disasters in your area and plan accordingly. For my area, it is drought (which brings forest fires) and blizzard (which could knock out power and make roads impassable). Job loss- Although not wide spread, a job loss could be an emergency for your family. If you are prepared financially and with food storage, it will be easier to ride that storm. Power outage- If you were without power for several days, what would you need to survive (or thrive). An easy way to find this out is to turn off the power for one day and see what needs aren’t being met. That is what you prepare for in the future. Water contamination- Maybe your area has water but it has been contaminated at the source or before it gets to your house. Do you have water storage and filtration to make it drinkable? How should we get prepared? This is a “bug out bag” that would contain the basics you would need to survive for 3 days. This includes food, water, first aid, clothing and basic shelter needs. Each kit should be tailored to each individual family member, including pets. Think about things like allergies, diapers, special food or dietary restrictions when packing your kit. You should put the kit in a container that is easy to carry such as a duffle bag, backpack or large bucket. You may want to pack more in the adult packs and leave the kids packs lighter with just food, water and clothing. 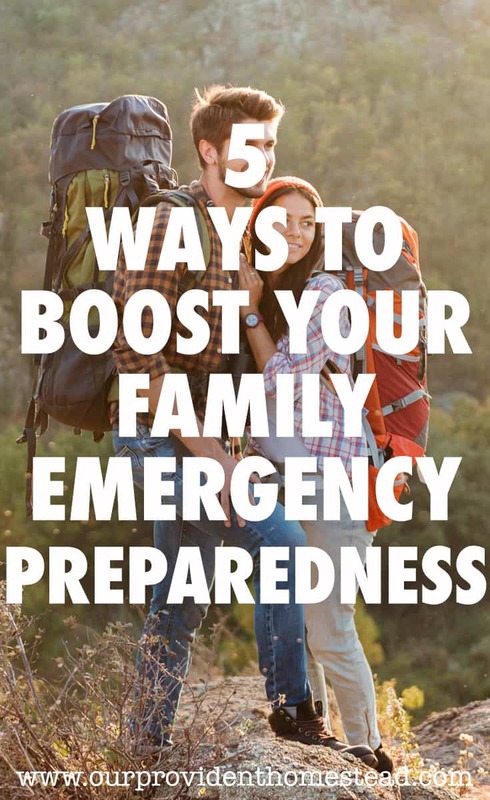 If you have an emergency that doesn’t require you to leave the house, you are going to need to have food for your family for an extended period of time. 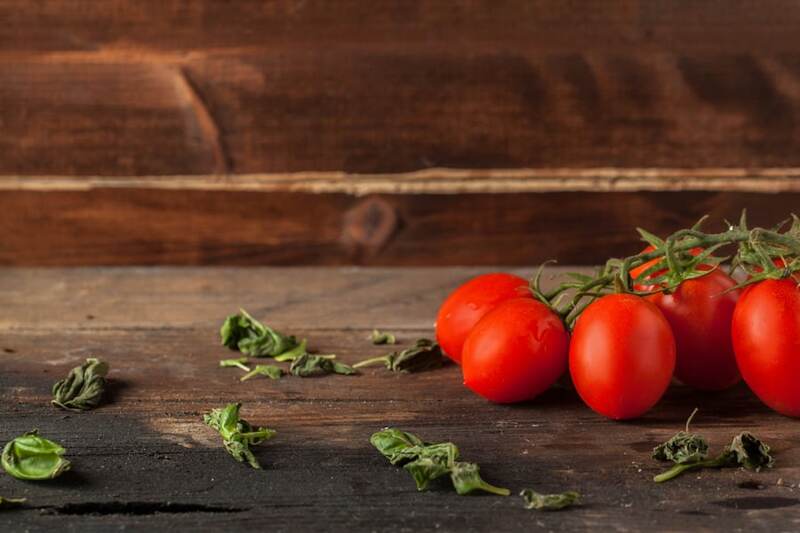 You can store prepared and packaged meals, meals your family loves and bulk staple items. Again, you should tailor your food storage to things your family can and will eat in an emergency. Make sure you know how to make these meals ahead of time and that your food is rotated as needed. Besides food, water is a major necessity for your family. You need water to drink, bath, wash and flush. The normal suggestion is storing 1 gallon per person per day. You can test how much your family uses by turning off the water at your house for 24 hours and monitor how much you use. First aid will be very important in an emergency, when normal emergency professionals are going to be busy with life threatening problems. Each 72 hour kit should have a small first aid kit, but that is only the basics. You should have a large, more comprehensive first aid kit for the whole family that is portable enough to take with you in an emergency. If you have your important documents all in one place, you can grab and go in an emergency. This includes government identification documents, insurance policies, medical records, genealogy records and whatever your family deems important. 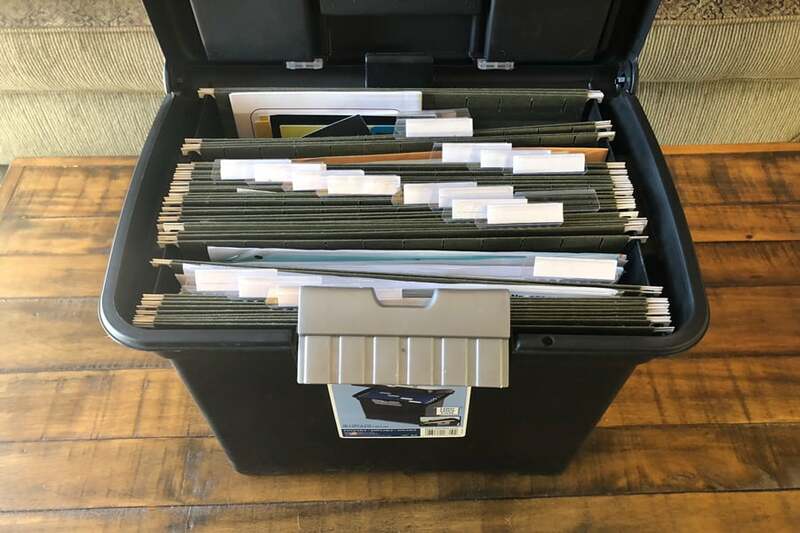 For ease, you should put everything together in a binder or file storage so you can take it with you quickly in an emergency situation. Why have I chosen these strategies to start with? There are many things that you can do to prepare for emergencies in your area. I chose these because they are easy, actionable and will make a big difference in your survival during an emergency. There are other things such as fuel storage, getting out of debt, hunting and other survival skills that you can do to make even more of an impact. But these 5 are the basics and need to be done first. If you have these done, your basic needs will be met for a certain amount of time and you will be better off than most of the people in your area. 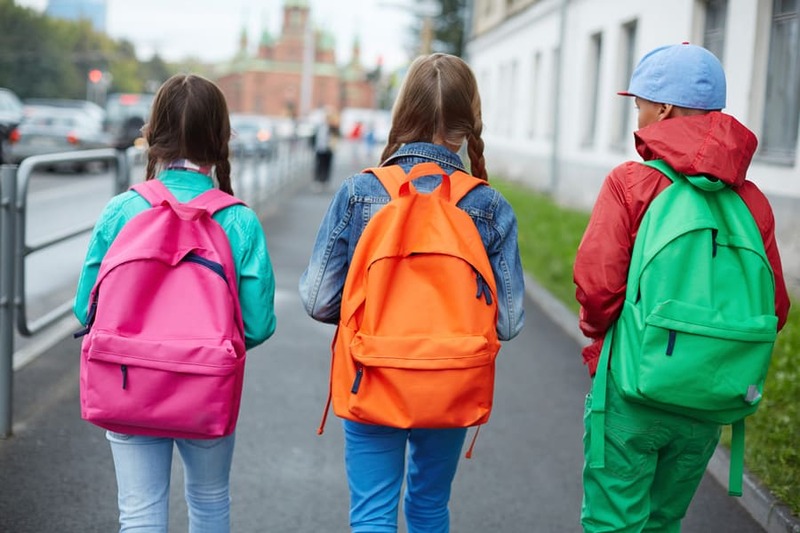 Emergency preparedness is something that is hard to make a priority in our busy lives, but if something happens we will wish we had taken the time to protect our families before hand. The time is now. Do you have these preparations in place for your family in case of an emergency? Let us know in the comments below. And if you found this post helpful, please share. Thanks! I never knew (as a kid) how many documents I would be responsible for as an adult. Birth certificates, social security cards, mortgage documents, insurance documents and the list goes on and on. How do you keep everything safe and organized in a grab & go emergency situation? Today we are going to talk about gathering important documents. Why do we need to gather important documents? In an emergency situation, you may leave your house not knowing what shape it will be in when you get back. 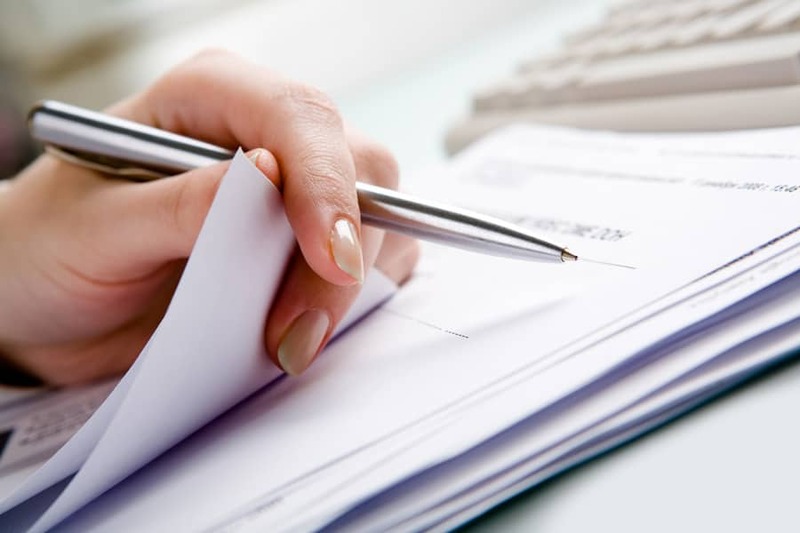 You will want to have important paper documents with you as proof of identification, proof of ownership and to save you a lot of hassle in the aftermath. If I had been home during my house fire and had been able to grab important documents, it would have saved a lot of headache in the days and months after the fire. How do we organize important documents properly? I prefer to use a file organizer (like in the picture above) to file my important documents. You could also use a large binder with plastic sheets and dividers. DO NOT LAMINATE birth certificates, social security cards or other important documents. It may invalidate them for government use. What should we have in it? Can we make a digital version? You can scan all of this information onto a thumb drive and keep it in a safe spot (maybe your 72 hour kit). I would do this in addition to the binder, not instead of the binder. You don’t know if you will have access to electricity and a computer in an emergency situation. It is also better to have originals of some things instead of copies. Where should I put it when it is complete? You should keep this resource in the same spot all of the time, so you know where to find it in an emergency. It should be easily accessible, maybe near your 72 hour kits for easy grab and go. Being ready in emergency situations goes beyond food and water storage. Having your important documents ready to grab and go will give you a big advantage in stressful time. If a flood, hurricane or other natural disaster take out a large portion of your town, you don’t want to have to wait in line with everyone else in the government offices to replace your documents. You don’t want to worry about proving things to your insurance company. 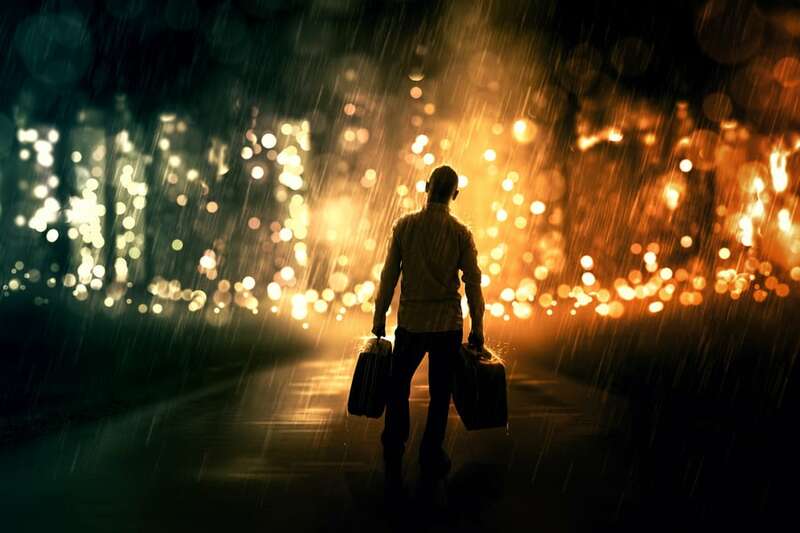 You want to be prepared so that you can move on and get back to your former life as soon as possible. Believe me, I’ve been there. 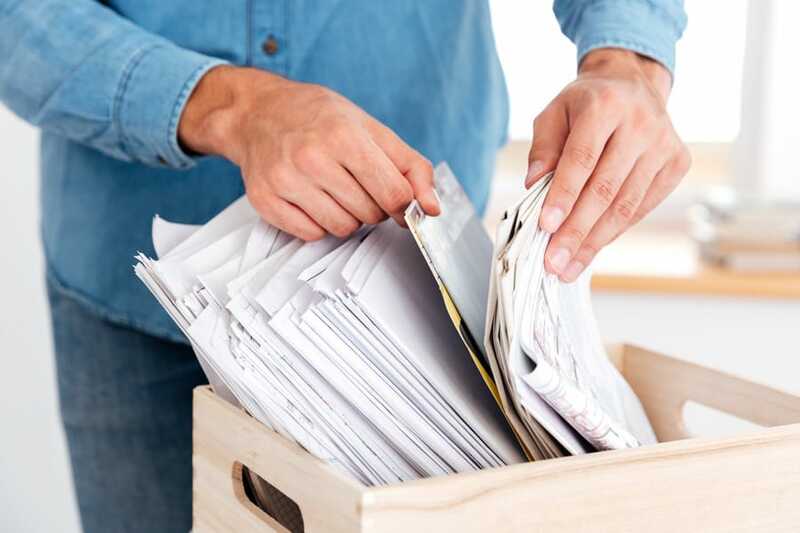 So gather your important documents for your family today, find a safe place to put them in and always put them back when you need to use them. This will mean the world to you in an emergency. I promise. How do you organize your important documents? Let us know in the comments below. And if you found this post helpful, please share. Thanks! 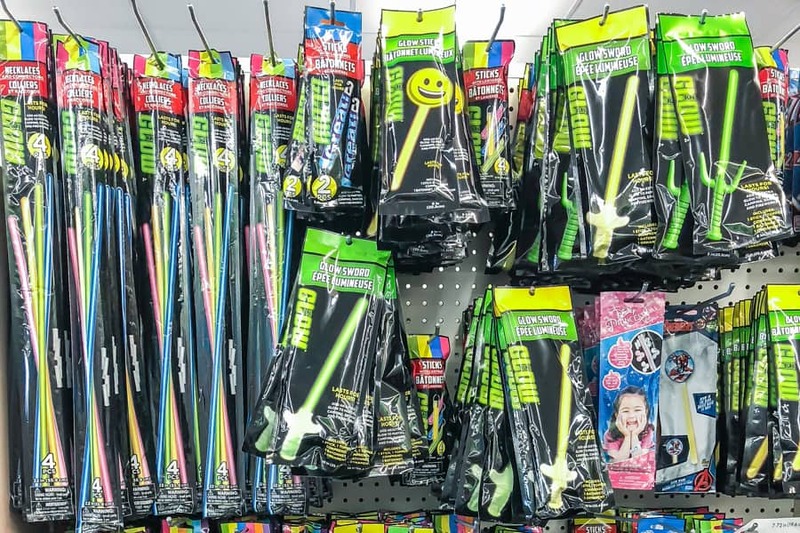 How to save money on emergency preparedness by buying some of your supplies at the Dollar Store! Something like emergency preparedness seems so overwhelming and expensive to get started. You have to buy all of these things, figure out where you are going to keep them, and then rotate them out if you don’t actually have an emergency. I used to think this way too. I thought you had to spend thousands of dollars to get your family prepared for emergencies. 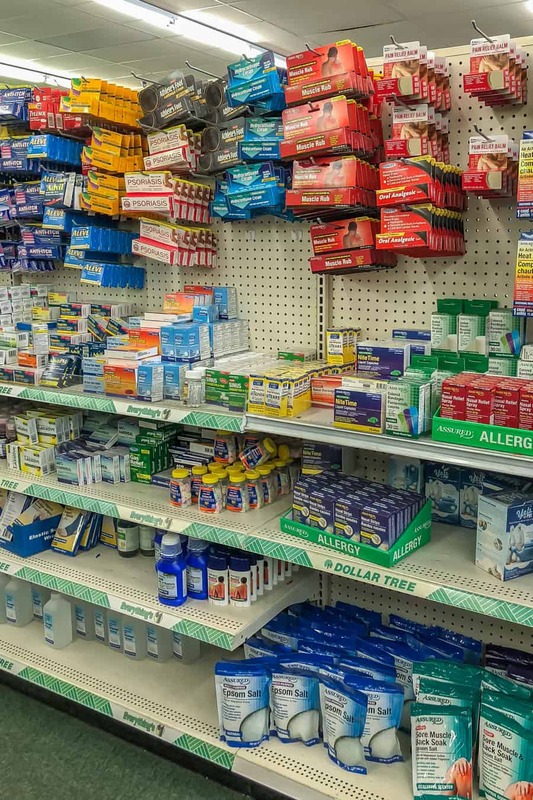 And while there are some expensive things that would be nice to have in an emergency, many of the things you need to store you can find at your local dollar store. You can find many food items at the dollar store. Canned food, prepackaged food, snacks, candy and other things to put into your 72 hour kit. 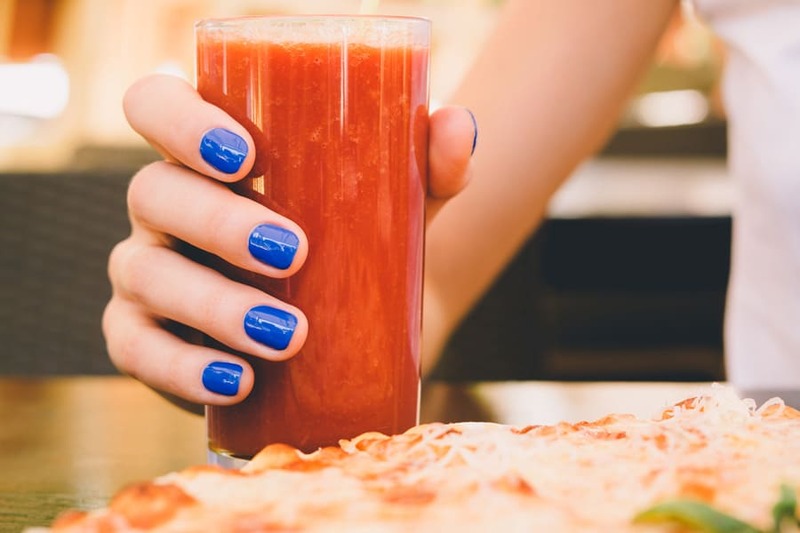 It won’t be healthy or organic, but it will do when you are hungry or stressed. Bottles of water in all different sizes can be found at the dollar store for your 72 hour kit and water storage. You can also find refillable water bottles for your family. You can find paper plates, cutlery, can openers, foil and other kitchen supplies for your 72 hour kit and food storage. There are matches, lighters, candles, flash lights, glow sticks and other light sources for your 72 hour kit and extended emergency storage. You will find trash bags, cleaning solutions, soaps, wet wipes and other essentials there. There was a whole wall full of first aid supplies there, including bandages, ointments, medicines and pain relievers. 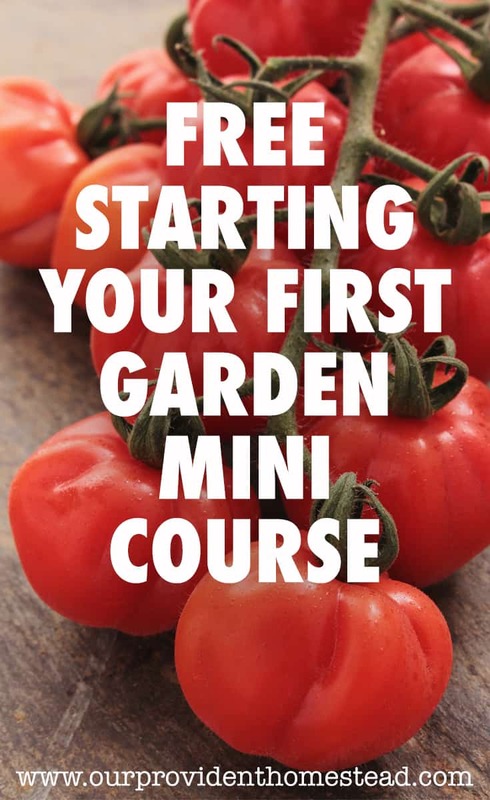 During the spring, they have garden tools, seeds, containers and other things you could use to start a survival garden. You will find toys, books and puzzles to keep kids entertained during an emergency situation. Although they aren’t the highest quality, they did have several different sizes of batteries for cheap. They have gardening gloves, latex or nitrile gloves and work gloves for cheap. Almost everything you could think of for personal hygiene, they have it: shampoo, conditioner, deodorant, soap, feminine products, etc. They have duct tape, zip ties, hammer, screw driver, rope and many other things you might need in an emergency. This is a great list! How encouraging to know you can get many of your survival needs at the dollar store! And since I know many of you live in a small town like I do, this is more available because almost everyone has a Dollar Tree or Family Dollar close by. Of course, you get what you pay for. So if you can spend more on these items, they will be better quality and last longer. But I don’t want money to be a hinderance for you to get prepared. So if you need to save money, buying things at the dollar store is a great alternative. Want to remember this? 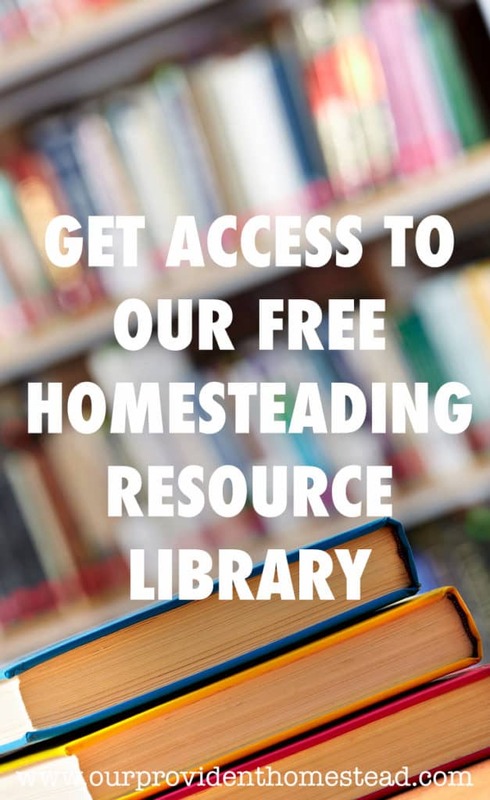 Save the 12 Types of Emergency Supplies At The Dollar Store pin to your favorite homesteading Pinterest board! 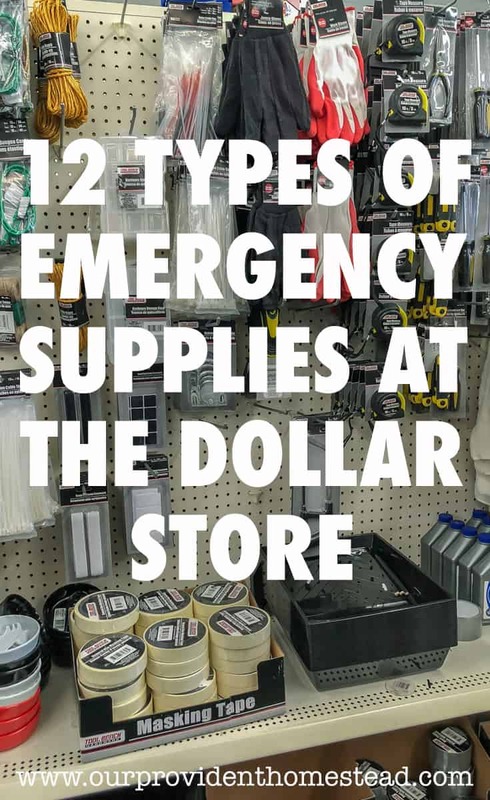 What kinds of emergency supplies do you buy at the dollar store? Let us know in the comments below. And if this post was helpful, please share! Thanks!